Nice airport photo! I'm guessing the trip is over, too bad. Looks like he has quite an impressive collection of work. Nice of him to pose so wonderfully for you. Neat perspective showing his art! Great shot. Looks like interesting paintings. Wow, he has some great paintings! 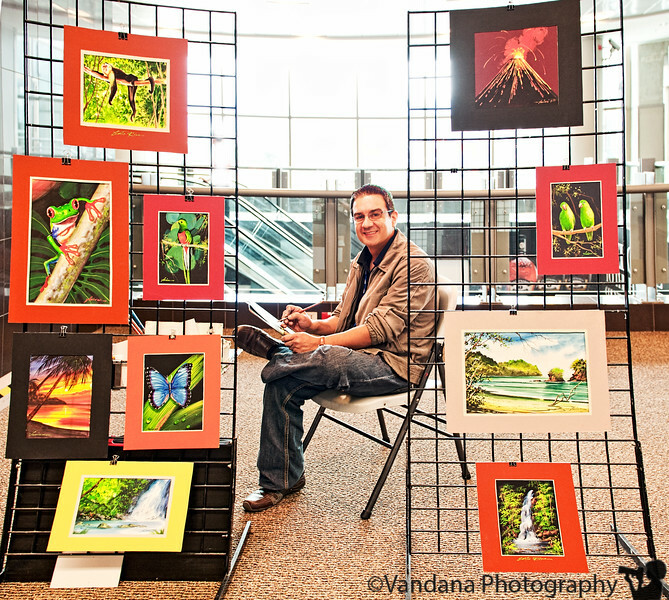 Nice capture of the artist and his work. His work looks so vibrant.